The Kentucky Department of Education believes that every child should be proficient and prepared for success. With great support, becoming a teacher in Kentucky will prove to be one of the most rewarding decisions. Here are the steps to help you become an educator in Kentucky. One of the first things you must do is decide which level or subject you want to teach. Do you want to work with young children in an elementary school? Do you prefer working with older children in high school? 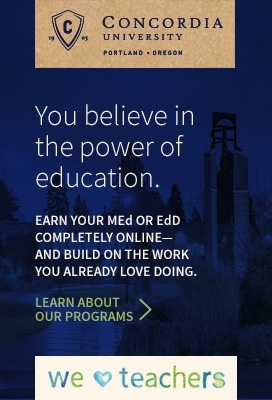 Perhaps you are more interested in special education. Before you become a teacher in Kentucky, it is important to think about what type of students and subject(s) you would like to teach, because each level requires different certification. 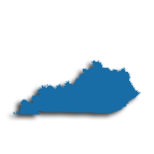 The Kentucky Department of Education has information about teachers, students, and schools in the state, which can help you make your decision. As with other states, the basic education requirement to become a certified teacher in Kentucky is the possession of a Bachelor's Degree. Individuals will also need to complete a State Board-approved educator preparation program. Educator preparation programs prepare individuals to become professional teachers. These programs are usually a combination of college classes and fieldwork. The courses tend to focus on areas such as subject-based teaching methods, differentiated instructional strategies, multiple assessment measures, classroom management, and integration of technology. Fieldwork tends to be comprised of classroom observations, student teaching, or interning. The student teaching process allows pre-service teachers the opportunity to practice their craft in a real classroom. Students teaching usually lasts for a set amount of time under the guidance of a certificated teacher. Student teachers are usually responsible for planning and implementing lessons based on the needs of the students in the class. A teacher preparation program is usually completed as part of a Bachelor's Degree program. However, if you decide to become a teacher after earning a Bachelor's Degree in an unrelated field, you can most likely complete a post-baccalaureate teacher preparation program. Several institutions of higher education even offer joint Master's Degree and teacher preparation programs as well. Teacher preparation programs can be completed online or at a campus, as long as it is approved by the state and accredited. For Kentucky, the accreditation organization is the Southern Association of Colleges and Schools (SACS). If you already have a Bachelor's Degree, you will most likely be able to complete a post-baccalaureate, or alternative, teacher preparation program. There are alternative routes to teacher certification in Kentucky for individuals who have demonstrated exceptional work and/or educational experiences. Individuals may receive a Temporary Provisional Certificate if they meet certain criteria. This certificate allows candidates to teach in a school as they are completing a teacher preparation program. Individuals in this route should take part in the Kentucky Teacher Internship Program. These individuals will be asked to complete all necessary requirements for earning certification within three years. Requirements for a temporary provisional certificate include a Bachelor's Degree with a minimum of a 3.0 cumulative GPA or a graduate degree, qualifying scores on the GRE, passing scores on content area tests, and an offer for employment. In Kentucky, the Praxis series of tests are used to assess the abilities of candidates who apply for teacher certification in the state. The Praxis Core Academic Skills for Educators test might be required before entering a teacher education program, but this varies by college or university. This test assesses a candidate in areas of general math, reading, and writing. Candidates pursuing the traditional Kentucky educator certificate route must complete the Praxis II exam for the area(s) they want to become certified in. This test measures general and subject specific teaching knowledge. In addition, the Principles of Learning and Teaching (PLT) test must be completed for the appropriate grade level. If you you have an out-of-state teaching certificate and two years of teaching experience, you may be able to waive the testing requirement in Kentucky. Inquire with the Kentucky Department of Education if this situation applies to you. Once applicants have completed all of the requirements as stipulated by the Kentucky Education Professional Standards Board, applications should be completed and sent in to the Department. It is recommended to send applications in at least three months before the desired date of employment, because some months can be very busy. Like many other US states, Kentucky requires new teachers applying for Kentucky teachers licensing to submit a state and federal background check. All applicants must provide fingerprints through the Verified Credentials Online system before working with children in the state of Kentucky. A non-refundable $50 money order or certified check made payable to the "Kentucky State Treasurer"
After your application is processed and accepted, you will be ready to begin you career as an educator in Kentucky. You will be prepared to bring about positive change in the lives of those you teach. Candidates applying for teaching jobs in the state of Kentucky can access the Kentucky Educator Placement Service Program (KEPS) through the Kentucky Department of Education website. Current needs are for elementary and middle school educators, as well as administrators and special education teachers. Having obtained full time employment, Kentucky teachers are eligible to join the Kentucky Education Association for labor support, and the Kentucky Association of Professional Educators (KAPE). These were formed to support teachers in their networking and professional development endeavors. Teachers retiring from a public education position are eligible to draw pension benefits through the Kentucky Teachers' Retirement System (KTRS). Benefit amounts are based on length of service and final average salary. Many teachers consider employment within one of Kentucky's 386 private schools. With a ratio of 12:1, many teachers prefer this. Although private schools are not mandated by the state to hire only certified teachers, many still prefer it. Private schools may offer differing pay and benefits than their public school counterparts. However, moving to higher positions in the school may be more accessible in a private school. The table below lists the number of public school teachers in Kentucky by grade level during the 2012-2013 school year. There are more than 300 private schools with an estimated 4,700 private school teachers in Kentucky. The table below details the number of teachers by grade level during the 2011-2012 school year. Teachers pursue professional development from the time they are granted licensure until retirement. Ongoing professional development ensures that the nation's educators continually adapt to meet the needs of today's students and the career climate that those students will enter after graduation. The state of Kentucky has mandated that all professional development opportunities be listed on the Effective Instructional Leadership Act database (EILA). EILA has criteria for accepting training providers that meet the professional development needs of teachers in the state. Teachers, administrators, and district personnel with questions are encouraged to visit the Professional Development homepage to touch base with accredited providers such as ACE Corp, Atlantic Research Partners, Bluegrass Center for Teacher Quality, and Consortium on Reaching Excellence, Inc.
Before the master's requirement was removed by the Education Professional Standards Board in 2018, teachers in Kentucky were required to earn their master's degree by their tenth year of teaching. Though it's no longer necessary, it's still highly valued, and comes with some real perks. You can teach in Kentucky with either Rank I or Rank II certification. To progress to the Rank II certification here, you'll need to hold a master's degree. Even though it's no longer a requirement, many teachers still choose to move on to Rank II because of the professional opportunities and increased pay it affords them. To renew your initial five-year teaching certificate in Kentucky, you'll need to have actively taught at least three of the five years, and either earn 15 graduate hours, or complete half of the Continuing Education Option (CEO) requirements. During your second, five-year renewal, you'll again need to complete at least three years of teaching experience and either complete a master's degree or fifth-year program (32 graduate hours) OR complete the CEO requirements. Subsequent five-year renewals require at least three years of active teaching. If you've taught for less than three years during the five-year renewal period, you'll need at least six semester hours of additional graduate credit. Earning a master's degree and achieving Rank II certification has its benefits in terms of pay too. For example, teachers with a Rank I certification and three years of teaching experience in the Jefferson County School District earn a minimum annual salary of $56,508, while Rank II teachers at the same experience level earn a minimum salary of $59,002 - an increase of about $2,500 a year.